$ 995 - Lia chest in Grey wood finish and light Grey lacquer background | 30" x 19.5" x 48.5"H (not shown). $ 1,995 - Lia Queen Size bed w/ lighted headboard and 2 night stands. $ 2,195 - Lia Queen Size bed w/ lighted headboard and 2 night stands. 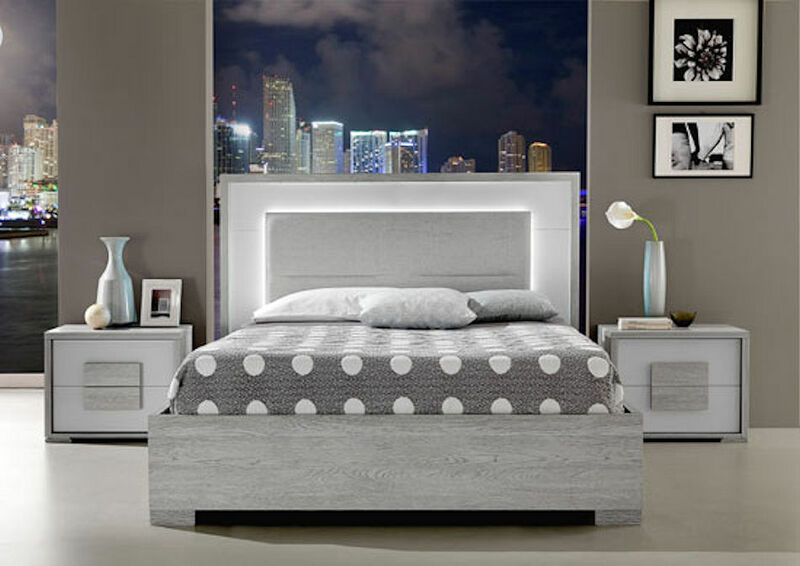 This bedroom set comes with grey wood finish and a light grey lacquer background. The lighting headboard in fabric. Smooth lines define this contemporary bed set that is expertly made and handcrafted in Italy. 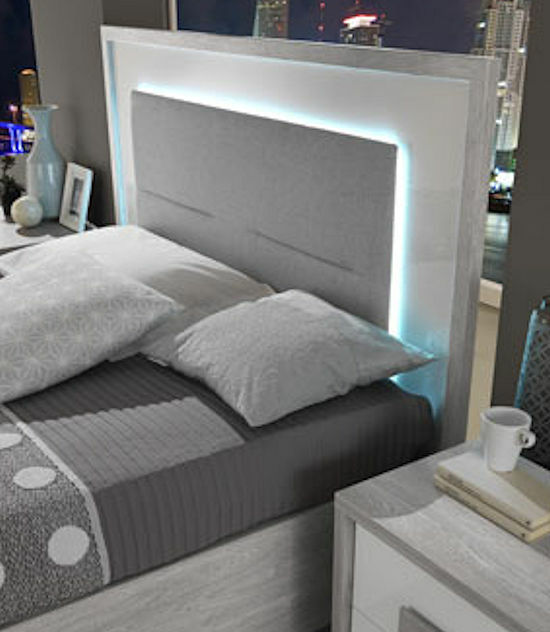 The headboard has LED lighting behind the fabric panel, making it perfect for those romantic nights.